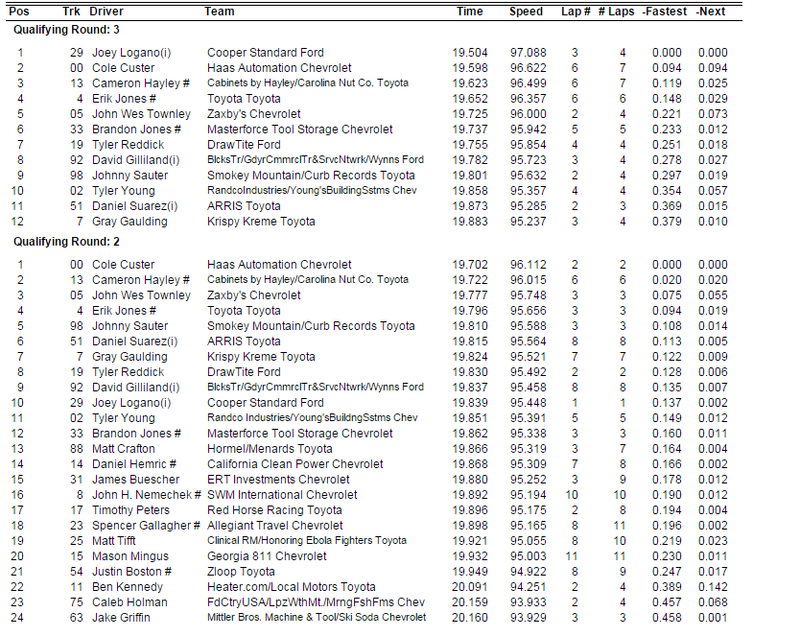 Here are the qualifying results for Saturday’s NASCAR Camping World Truck Series race at the Martinsville Speedway. 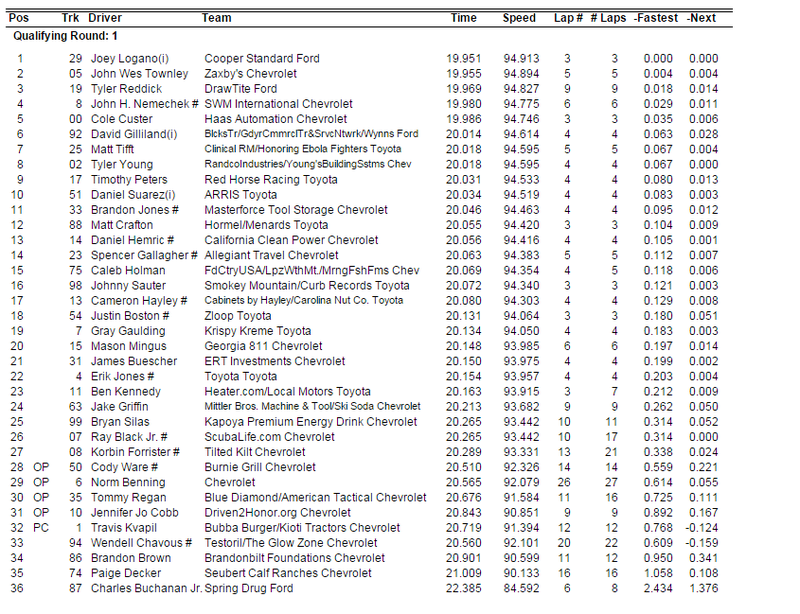 DNQ: #94 Wendell Chavous; #86 Brandon Brown; #74 Paige Decker; #87 Charles Buchanan Jr.
26. #07 Ray Black Jr.